Sophia (meaning wisdom in Greek) is a successful business woman in her 30s who gets away from her stressful city life by diving underwater. For I am Sophia, we are looking for a woman in her 30s, a synchronised swimmer that is able to do free diving (to operate without diving equipment). Synchronised swimmers have also a very good knowledge of body mechanics and this would allow Avatâra to find a very different physicality underwater, playing with defeating gravity and playing with the impossible (upside down, slow motion, floating). The team to film I Am Sophia will be bigger than in the other two films, as we need a team of divers under water not only to hold the two cameras but also to be next to our protagonist. In terms of locations, we would like to have diving sites that are very rich in their marine life, the Caribbean sea (Cuba) or Indian sea (Indonesia, Malaysia, The Philippines). In addition, we also want to consider a XXI century crowded city that is close to the coast, to allow us to show the business life of Sophia and the need she has for coming out from an stressful environment. Avatâra has experienced herself the idea of escaping real world underwater. She believes being a dancer facilitates the art of scuba diving skills. Avatâra has herself felt the desire to escape real world by being underwater. She believes that being a dancer may have facilitated her ability to gain her scuba diving skills and she has now been diving for more than fifteen years. Her favourite underwater landscapes are the Red Sea and the Caribbean Sea . "Going underwater is a very special experience, not only for the beauty you find but also because it puts the human body and mind in a context most of us don’t normally inhabit. The body is a stranger in this landscape, but little by little you learn to assimilate to the landscape, letting go of your stress and fears to "survive” in the water. 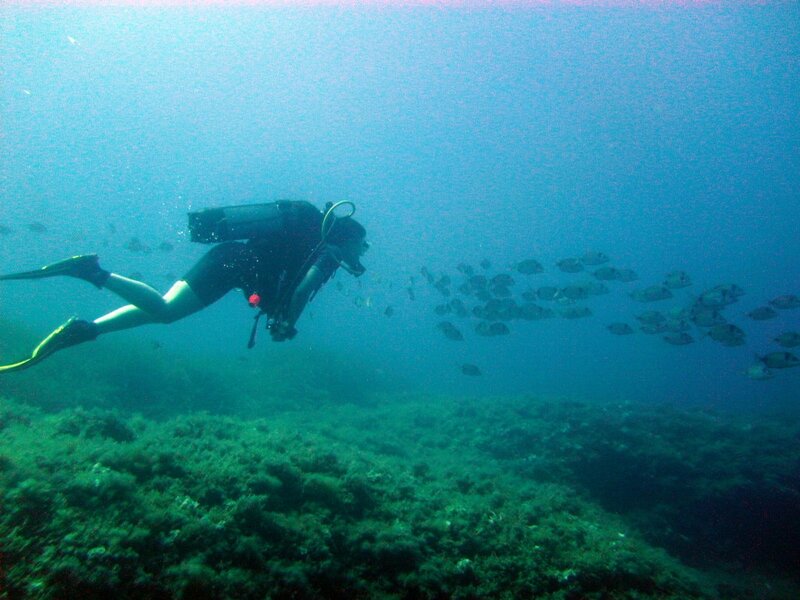 For me, scuba diving is a kind of meditation and I recommend this experience to everyone." says Avatâra.